You are here: ITarian RMM What is RMM? Remote Monitoring and Management (RMM) is a remote management application software used by Managed Service Providers (MSPs) to monitor and manage devices and networks – including workstations, laptops, and mobile devices - remotely from a single centralized console. A robust RMM solution enables MSPs to easily view and manage their networks and provide quicker resolution for issues. The centralized dashboard provides a real-time panoramic view of details about the managed client devices and the software in those devices. An effective RMM solution continuously and simultaneously monitors the health and status of all devices. 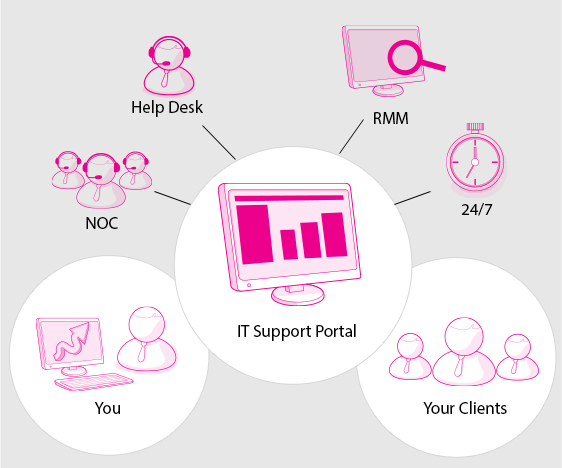 RMM solutions are usually part of an IT Management Platform that includes Patch Management and Service Desk. The integration allows tickets to be generated automatically for any issues, streamlining the path for quicker issue resolution. Good RMM solutions can be deployed easily, and their Active Directory integration and LDAP allow quick import of users and devices. The solution can be scaled when more devices have to be enrolled. Effective RMM solutions are versatile and support multiple operating systems and versions. Enterprises may use Windows, Linux, iOS, Android and other operating systems and the versions may also differ based on the application support needed. In an enterprise, many IT tasks are repetitive or routine. RMM solutions offer Procedure Wizards or design templates that allow IT administrators to create and run multiple commands in a defined order to automate and manage such repetitive tasks. Automatic, scheduled report generation provides details of various events – device and software issues, malicious activity, malware threats, infiltration attempts, etc..., This would enable the IT administrator to analyze the report and take appropriate remedial action. RMM is a a highly effective tool, and a must-have for MSPs to provide effective IT management. What Does RMM Mean to You? A lot of articles and blog posts have been written about "what does rmm mean" and it's not hard to find a good definition if you know where to look. However, a simple definition doesn't tell the whole story and in order to be successful in the managed IT services industry, you should understand what remote management means to your business. This lets you stay in touch with your customer's needs and provide top quality services. Here are some things to help you get a better understanding of the remote monitoring and management industry. Have you ever talked to a client who was looking for "half-assed" service? Of course not. In this profession, it's all or nothing, especially when it comes to network monitoring. The customer expects all endpoints to be secure and for things to run smoothly most of the time, with few interruptions of service. The msp who can provide this, should have no trouble staying in business in the 21st Century. If clients are not satisfied with your service you are not going to be successful. The best managed service providers always place customer satisfaction as the number one priority. They employ people who are never rude and always have time for the company's number one asset, the customer. This important principle cannot be ignored if you are interested in long term success and financial security. In your staff's opinion, what does rmm stand for? Is it just a means to an end? In other words, are most of your employees there to collect a paycheck and not concerned about job satisfaction or security? Next to customers, employee should be the greatest concern of the msp company today. It's not enough to offer competitive compensation packages these days. Most people are looking for a comfortable and positive work environment. They are willing to accept challenges and work hard for the company, but they must feel appreciated and important. If you cannot accomplish this, you'll probably be dealing with a constant turnover of employees and may find little success in the msp business. If a customer must deal with a major data breach, it could result in insolvency. As an msp you are protecting more than information, you are protecting jobs and livelihoods. This is why you should be providing antivirus, anti intrusion and enhanced endpoint protection. A managed IT service company is there to secure networks and protect data. However, you can't protect the company from a natural disaster, nor are you responsible for the security of the facility. However, should valuable data be lost, stolen or destroyed, the msp can be there to restore lost data, so the client can continue to run a business. Do you have an effective disaster recovery plan for your business and clients? Does it contain more than one failsafe measure? If not, you could be in serious trouble if disaster strikes. Consider a trusted cloud backup data service as well as taking measures into your own hands. This will give you the best possible backup system. What does rmm stand for? It's more than simply a service to clients. Remote monitoring and management is a type of insurance and personal protection. Clients hire msp companies to help them protect their data and networks and to provide business solutions. That is why the msp professional should be friendly, personal and approachable. Clients want to put a face to a company and this face should be one people can trust and depend on, and a face which is likable. What does RMM Mean to ITarian? At ITarianwe are proud to offer some of the finest software solutions in the world. Our ITarian open source platform is the culmination of years of hard work from msp professionals. 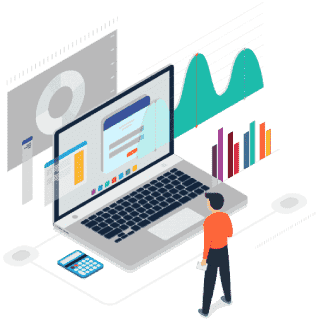 The software is a continual process of research, development and evolution and will continue to be on the forefront of remote monitoring and management technology for many years to come. To see what ITarian can do for your business, visit our home on the Web today at https://www.itarian.com/.